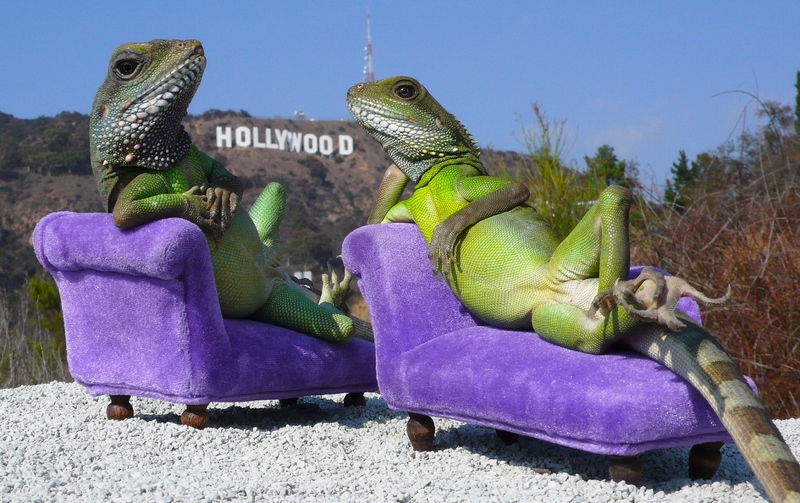 Director of the lizards is one Henry Lizardlover, eccentric man, living in Hollywood, doing the photographs of lizards in human like poses, why you ask, what better reason than to save the world, by bringing about a new view and attitude for our fellow lizard... Many (not all) of the lizards Henry raises develop wonderful CALM and TRUST... they became willing to sit and pose comfortably like people (some people, not all people). Henry shares experience and ideas on IGUANA BEHAVIOR AND HEALTH CARE... with a special focus on the cultivation of conscious lizard love... because lizard love is the fulfilling of the law. Much More To See, SCROLL Down On This Page!! Some (Not all) lizards can develop the important qualities of trust and calm, plus accurate memory and ability to distinguish safe from unsafe creatures. All this works for the well adjusted lizard to live in peace and harmony with other creatures, such as humans, dogs, cats, birds or other kinds of lizards. Imagine seeing a "lizard" that knows enough to return to a car or truck that he rode in to get somewhere. 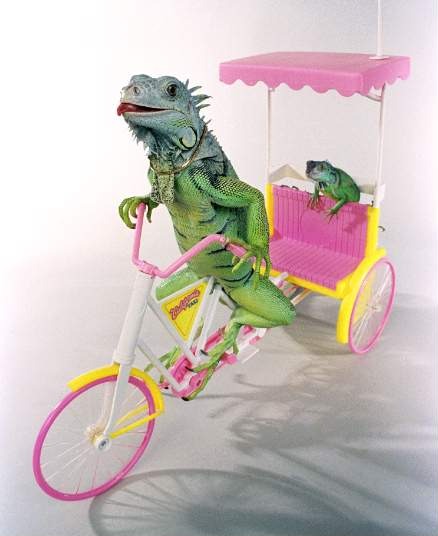 Several of my adult male iguanas would do this every time I took them to a place to get out and walk around. When you see a big lizard, (20 pounds and 5 feet long) walk back to a car or truck and climb back up to the rear seat, all on his own, you just have to rethink any previous ideas about the intelligence in lizards. 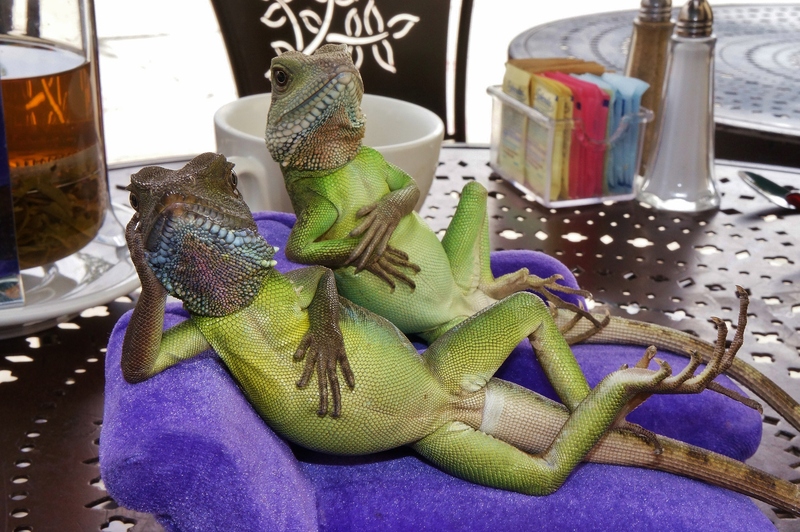 These same iguanas would always return back into the house on their own after spending their days basking in the backyard. 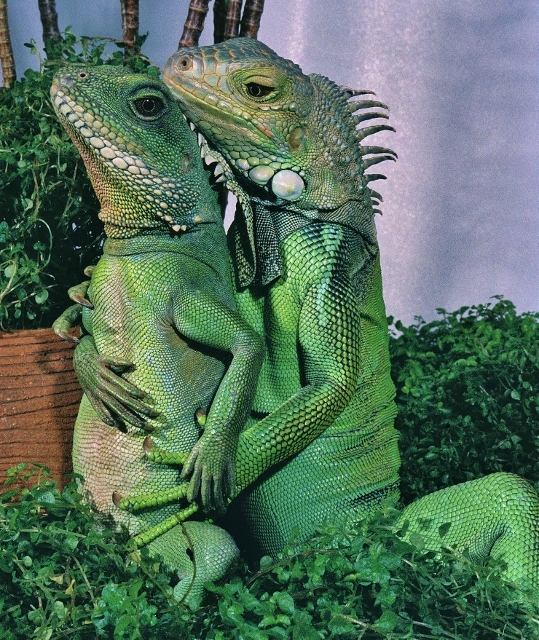 A safe, friendly, domestic environment helps the iguana build trust and grow out of the primal state. But they are all unique and individual, each with different sensitivity, attitude and potential. By careful cultivation or mere fluke of happenstance, the New Lizard may be born, to what degree, it varies, there is no guarantee. UNFOLD YOUR LIZARD LOVE - Many people fear lizards or lack lizard love, but hearts can be moved to new attitude. To see lizards do the unexpected is but one of the mysterious ways that can stir up radical amazement, stir up the sense of awe and wonder. 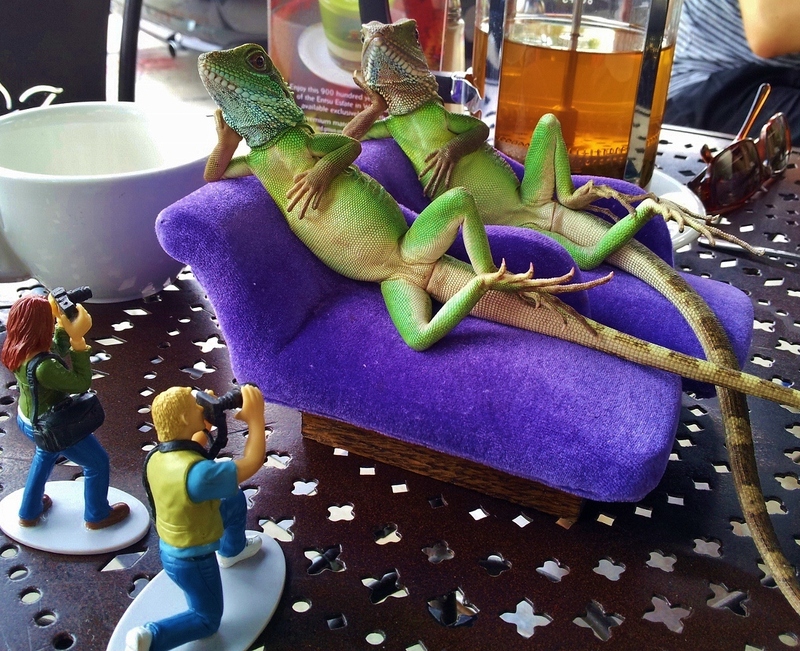 It is good, because lizard love is the fulfilling of the law. Lizard Love is the highest of virtues, it embodies all other virtues in itself. You might consider a different lizard as a pet, instead of an iguana, lizards such as "bearded dragons" or various types of skinks may be better pets for those so compelled. 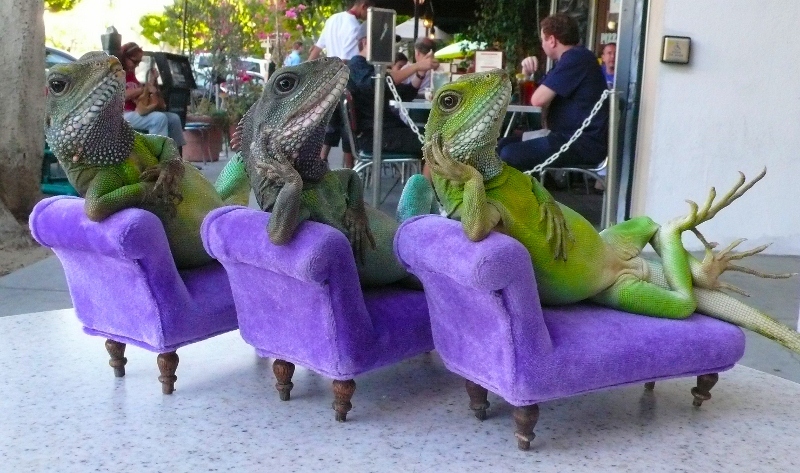 Iguanas can reach a size and weight (10 to 20 pounds) that becomes difficult to handle and house for some people. That is not the most serious obstacle however. 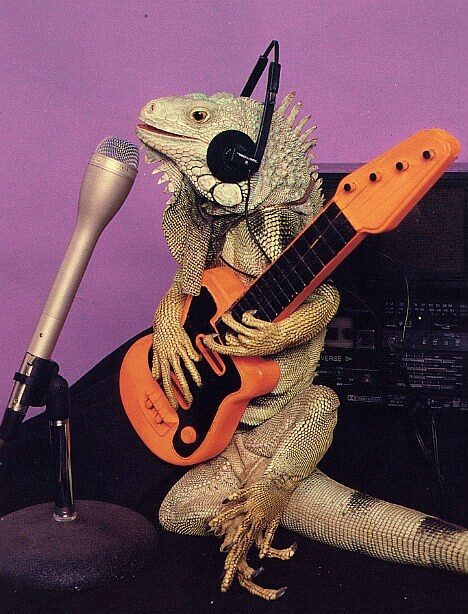 The real serious gamble is 1) when the iguana you are raising turns out to be a male, 2) a high percentage of male iguanas will fall under the spell of extremely vicious aggression moods, anytime during their mature years. The aggression/attack mood can last a few hours, weeks, months or longer, comes and goes, just something potential pet owners must be told about. There is no way to prevent or train away these aggression moods. An adult size iguana has a big powerful set of jaws with razor sharp teeth. 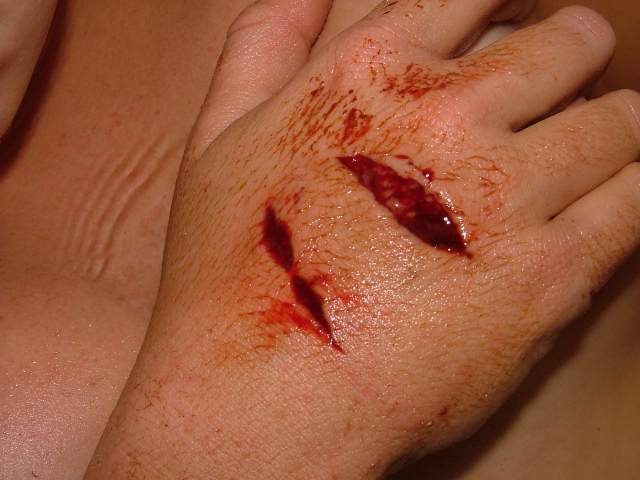 The male iguanas in the worst degree of this kind of aggression mood will charge, leap or even fly off of upper positions to inflict real deep flesh tearing wounds on humans, no matter how friendly, well behaved and mellow they may have been before this mood takes over them. 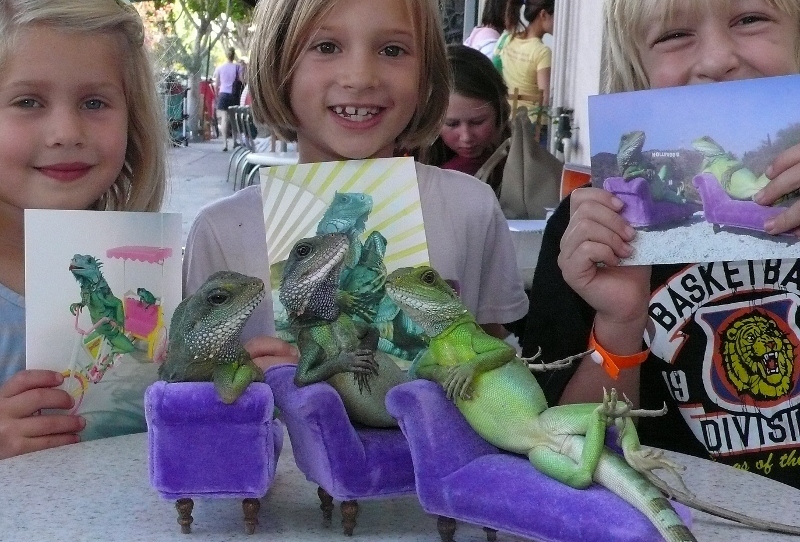 There is a body language that reveals mood changes and male iguanas have potential to be the best of pets but everyone that decides to raise an iguana should be prepared for all of this. 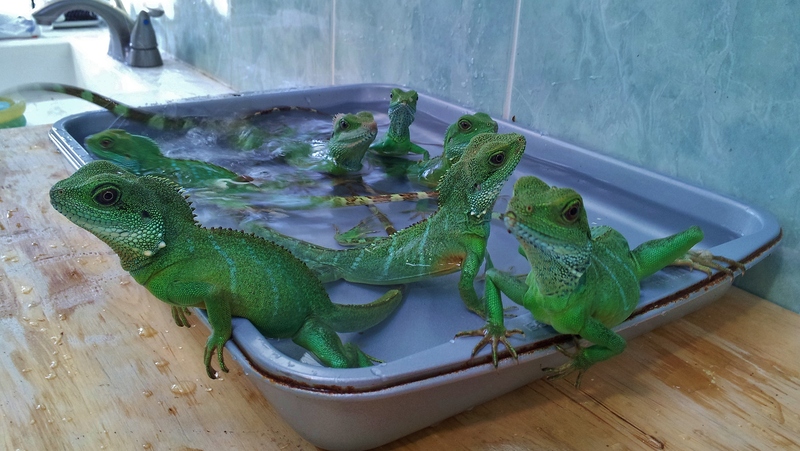 Many of the iguana owners think they have a female iguana when it's really a male, only because someone at the pet shop told them it was a female or the vet told them, this mistake occurs all the time. Most iguana books, websites and most pet shops rarely, if ever, alert iguana owners to the seriousness of potential attack mood of adult male iguanas. 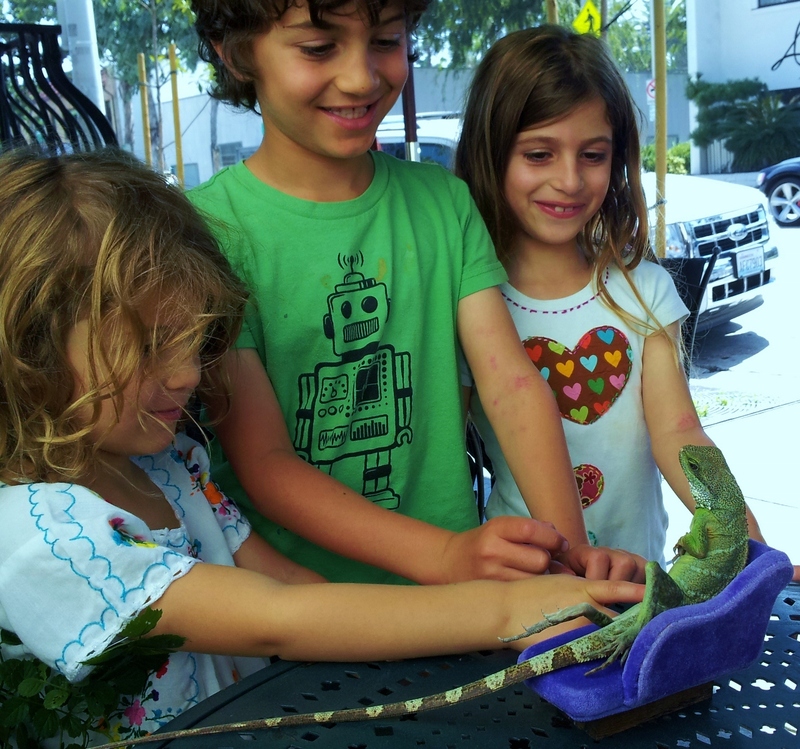 Innocent animal loving people take on iguanas as pets, having no idea of this common attack mood in male iguanas. 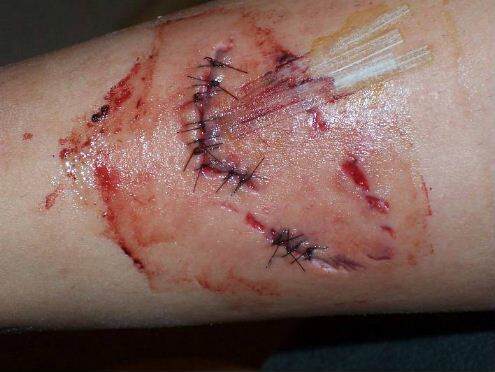 Little children are at risk of sustaining massive wounds and disfigurement, mainly due to the fact that they have no advance warning about this and the body language that alerts pet owners to the danger. 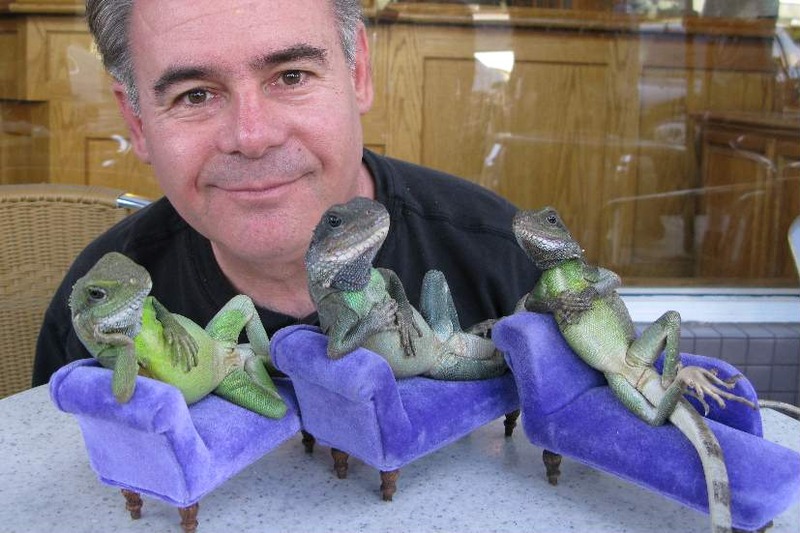 This is a most screwed up situation putting male iguanas and the pet owners in real danger.